Membership for 2015 opened at our November meeting. You may pay for membership online, at our December 11th Holiday Meeting/Party, or at any guild meeting or event. Become a member of PMQG! PMQG Membership for 2015 is now open! You may pay for membership at any guild meeting. Membership for 2015 will be $40 if paid by cash or check. There is a small service fee when paying by card online. Cards are also accepted at meetings, or you may pay by check or cash without a service fee at any guild meeting or other guild event. If you would like to become a member at a meeting, you do not need to click the link below. Click on the link if you would like to pay online with a credit or debit card, or if you are sending a check. There is no need to fill out the form if you are planning on paying at a meeting. You may pay online by debit or credit card and your membership card will be sent to you. Paying online includes a small service fee. After completing the application you will see the link to pay via Square Marketplace. Members enjoy discounts at local and online vendors, special pricing on guild events, and the satisfaction of supporting this wonderful organization. We include links to member blogs on the left hand side of our page, opportunities for swaps, challenges, meet-ups, sew days and more! • Business may post to the guild FB wall (business blog/website links, sales, etc). 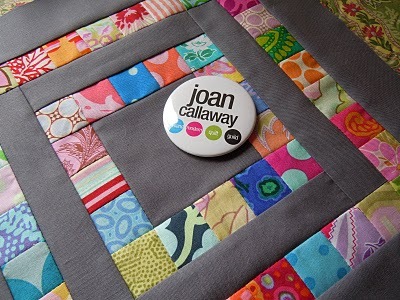 • Responsible for quilting 2 or more charity quilts per year for the guild. When quilt is finished, long armer can show the quilt at show and tell and have the opportunity to share about their business then. • Business name given out by guild when we are asked for suggestions for that particular business (fabric store, etc). • Responsible for helping guild out with giveaway items at least twice a year—door prizes for meetings (around 4-6 donated items/prize packs in the range of $5-$10 each for each of 2 meetings) and/or goodie bag or door prize items for retreats in an equivalent amount. • May have their own table to sell products at the Holiday Swap and Sell. • Makes a 10 minute presentation on their business at a meeting during the year. Click on the link if you would like to pay for a business sponsorship pay online with a credit or debit card, or if you are sending a check. If you are planning on paying at a meeting, there is no need to fill out this form. Paying online includes a small service fee. After completing the application you will see the link to pay via Square Marketplace. PNW MQG Meet up PDX! The sign up for the Meet up is live! 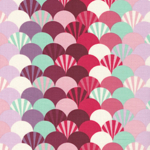 Sewmobile shuttle service available all day on Saturday between Hotel, Modern Domestic and Fabric Depot. 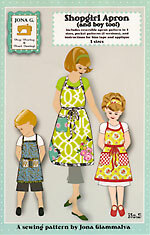 Sew Po, All Quilted LLC, Sew, Mama, Sew! Hi everyone, just wanted to share some cool things a couple of our fabulous guild sponsors are up to this month - just show your 2012 PMQG member card when you're checking out to get your discounts. 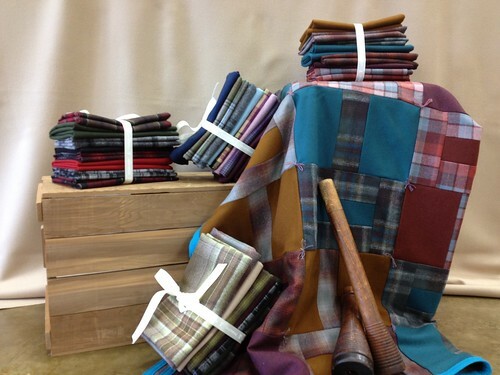 First, Pendleton Woolen Mill Store is having a fabulous sale on ALL of their wool fabric through September. Here are some of their new ombre plaids arranged in pretty FQ stacks - check out the lovely wool quilt our own Michelle Freedman made with them! We'd love to set up a special shopping day for members during the sale, so keep an eye on the blog for more details. Hope to see you at both of them! We'd like to give a warm welcome to our newest PMQG sponsors: SewPo and Lark Cottons! Both of these local fabric stores have offered a 10% discount to current members of PMQG. 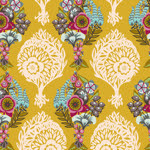 SewPo is a bricks and mortar store in NE Portland, just show your card when you check out for the PMQG discount. Lark Cottons is a locally run online store, with a local pickup option. To receive your discount, please enter the code listed in our online discount document. We know our members will be thrilled to see what these great stores have to offer. We're happy to announce that a new sponsor is offering PMQG members a discount: The Ribbon Jar is an online Oregon business, (started by one of our very own members) selling beautiful and unique ribbon and trim by the yard. To get the PMQG discount, please use the code from our discount list (the link is in your PMQG welcome email). Thanks to Julie at the Ribbon Jar for this offer. She says she's excited to see what our members can do with these ribbons! Joann Fabrics also offers our members a discount, but you will need to register for their program in advance of using the discount, so if you haven't done that yet, hop to it! 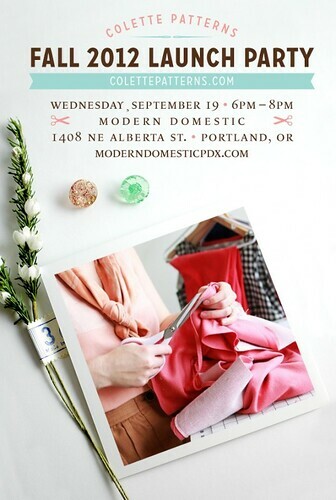 If your business is interested in offering a discount to PMQG members, email us at portlandmodernquiltguild@gmail.com. 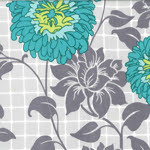 Sew, Mama, Sew Giveaway Day! PMQG is very excited to be participating in the Sew, Mama, Sew! December Giveaway Day! Buckle your seat belt and grab hold of your computer mouse, because we are giving away a $30 gift certificate to Sew, Mama, Sew! 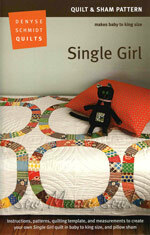 and a free one year membership to the Portland Modern Quilt Guild for 2011! 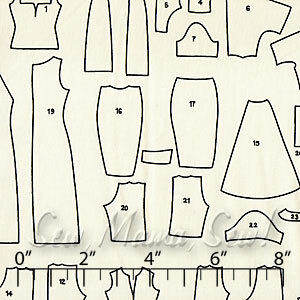 Just think what you could buy with $30 at Sew, Mama, Sew! Leave a comment below. Easy peasy! The giveaway will close at 6 p.m., Pacific Standard Time on December 17. The winner will be chosen by random number generator. And, PLEASE, if you are a "no-reply comment" blogger, you must leave an email address in your comment.